A team of researchers says that we could one day use the super-material graphene to test for ALS and other neurodegenerative diseases. ALS stands for amyotrophic lateral sclerosis – we also call it motor neurone disease (MND) or Lou Gehrig’s disease. Stephen William Hawking (1942-2018), a British theoretical physicist, cosmologist, and author, had ALS. ALS is a progressive neurodegenerative disease which doctors diagnose through a process of elimination. In other words, they rule out other disorders until they reach a diagnosis. A team of scientists carried out research on the use of graphene for testing neurodegenerative diseases. The team included people from the University of Illinois at Chicago (UIC), Cedars-Sinai Medical Center, and Rosalind Franklin University of Medicine and Science. They wrote about their study and findings in the journal ACS Applied Materials & Interfaces (citation below). Graphene, a single layer of pure carbons arranged in a honeycomb, is the lightest and thinnest material we know of. It is also the strongest material we know of and a very good conductor of heat and electricity. It is approximately 200 times stronger than the strongest steel in the world. The researchers added cerebrospinal fluid from ALS patients to graphene. The fluid produced a distinct and different change in the graphene’s vibrational characteristics. Distinct and different, that is, compared to the fluid from multiple sclerosis patients and people without neurodegenerative diseases. These distinct changes in the vibrational characteristics predicted accurately which patients the fluid came from. Specifically, whether it came from the patients with ALS. As mentioned earlier, graphene is a single-atom-thick carbon material. Chemical bonds bind each carbon atom to its neighboring carbon atom. These bonds’ elasticity produces phonons, i.e., resonant vibrations. It is possible to measure these phonons accurately. These resonant vibrations change in a very specific way when a molecule interacts with graphene. They also change in a very quantifiable way. Berry is an Associate Professor and Head of Chemical Engineering in the UIC College of Engineering. The authors used graphene to determine whether the cerebrospinal fluid came from an ALS or MS patient or a patient without a degenerative disorder. MS stands for multiple sclerosis. MS and ALS are both progressive neurodegenerative diseases. In this article, the terms ‘neurodegenerative diseases’ and ‘neurodegenerative disorders’ have the same meaning. Currently, there is no definitive test for ALS. Therefore, an objective diagnostic test would help patients with the disorder get treatment earlier. ALS treatment slows down the progression of the disorder. The Human Brain and Spinal Fluid Resource Center banks tissue and fluid from deceased individuals. That is where the researchers got the cerebrospinal fluid from. Prof. Berry, Dr. Ankit Mehta and colleagues tested the cerebrospinal fluid from seven individuals without a neurodegenerative disease. They also tested the fluid from 13 patients with ALS, three with MS, and three with unknown degenerative diseases. 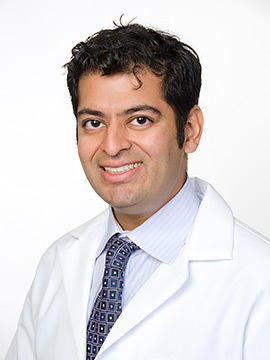 Ankit Mehta M.D. 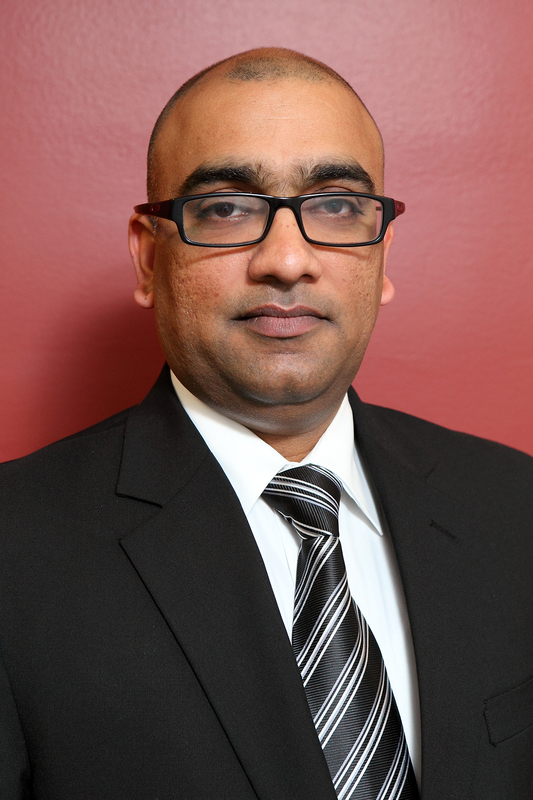 is an Assistant Professor of Neurosurgery and Director of Spinal Oncology in the UIC College of Medicine. (Left) Vikas Berry and Ankit I. Mehta. 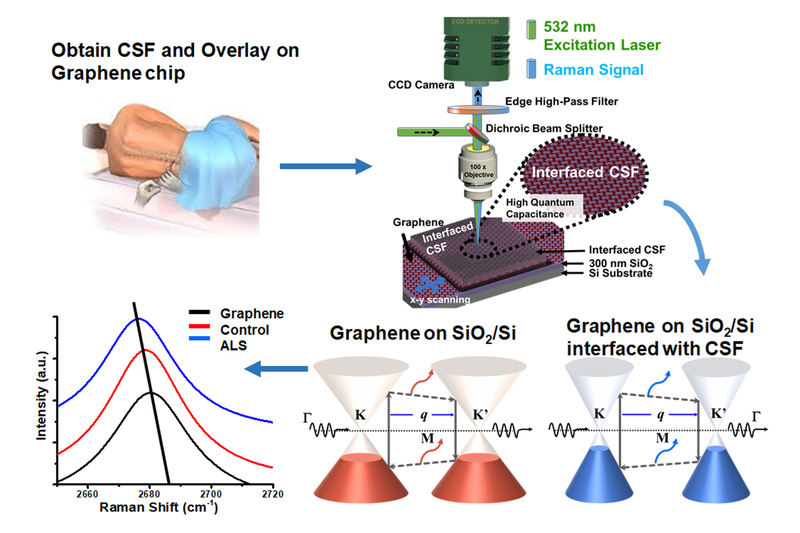 “Quantum Capacitance Based Amplified Graphene Phononics for Studying Neurodegenerative Diseases,” Ankit Mehta, Akop Seksenyan, Pouyan Kheirkhah, Abhiraj D. Bhimani, Bijentimala Keisham, Steven Denyer, Gregory D. Arnone, Vikas Berry, Pablo Avalos, and Clive Svendsen. ACS Applied Materials & Interfaces (2018). DOI: 10.1021/acsami.8b15893.